Are you looking for something special to give a radio enthusiast friend or a loved one for Christmas, yet can't decide what to buy, then look no further, consider giving them a new Wireless Institute Of Australia Gift Certificate. Available to the dollar value of your choice and redeemable for any purchase made through the WIA Online Bookshop, for any book or item of merchandise or any service provided by the WIA, the WIA Gift Certificate makes the perfect Christmas gift! But wait .. there's more !! Both types of Gift Certificates can be purchased online through the "Gift certificate" section of the WIA online bookshop. Gift certificates will be mailed to you from the National WIA office. 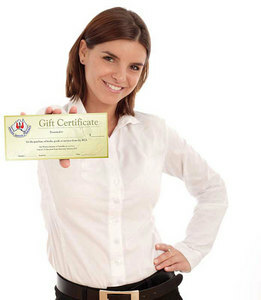 Alternatively, Gift Certificates can be purchased by mail or in person directly from the Wireless Institute Of Australia Office, Unit 20 - 11 Havelock Road Bayswater VIC 3153. Click this Link to go directly to Gift Certificate section of the WIA online bookshop. ** Note : To redeem a "Become a WIA Member" Gift Certificate, it will need to be accompanied by a completed and signed WIA membership application form.